Home Believers' LoveWorld BREAKING!! Pastor Chris and Pastor Benny’s new Evangelical TV channel in America! BREAKING!! Pastor Chris and Pastor Benny’s new Evangelical TV channel in America! If you’re a child of God, brace yourself for Summer 2017 where Pastor Chris Oyakhilome and Pastor Benny Hinn will join forces in the name of GOD! Christ Embassy and Benny Hinn Ministries are collaborating on a new and exciting faith based venture and we wanted to break the news first!! 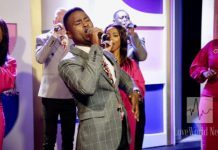 World-renowned TV Evangelists, Pastor Chris DSc DD, President of Believers’ LoveWorld Inc. and Christ Embassy, and Pastor Benny Hinn of Benny Hinn Ministries, confirmed they will be partnering together to launch a brand new television channel. They recently announced their electrifying channel will broadcast across the United States this summer (2017) on Olympusat cable TV in California. Further details on the debut date and other such information will be announced during a special press conference on Thursday, May 25th 2017. Pastor Chris Oyakhilome DSc DD, is the President of Believers’ LoveWorld Inc. and of Christ Embassy. Being a distinct minister of the Gospel of Jesus Christ, his leadership continues to propel a dynamic, multifaceted, and global ministry. As a Pastor, healer, teacher, television host, and best-selling author, Pastor Chris exudes a God-given passion for reaching people worldwide. He seeks to enrich people with God’s manifested presence, a divine calling he has focused on fulfilling for over 30 years. People around the world know Pastor Benny Hinn as a noted Evangelist, teacher, and the author of best-selling books like Good Morning, Holy Spirit, Prayer That Gets Results, Blood in the Sand, and Lamb of God. His TV program, This Is Your Day, is among the world’s most-watched Christian programs, watched daily in 200 countries. Yet, there is much more to this ministry and this man’s story, who has touched the world for 43 years with the message of the Gospel of Jesus Christ. Benny Hinn Ministries is 50 years old with Christ Embassy reaching 32 years of ministering. This powerful collaboration is a life-changing occurrence as God brings these two giants together for the second time, following the Miracle Healing & Impartation Services in Nigeria, October 2016. This meeting was uncommon in itself, with Pastor Benny being the first external Pastor to Minister on the Christ Embassy stage. 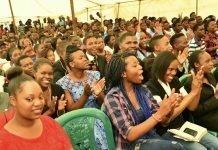 With both Pastor Chris and Pastor Benny being renowned miracle healing crusaders, Olympusat saw the potential to reach millions through their God given bond. Olympusat caters to a diverse audience of millions of viewers every day. Now, it will showcase the power of God in this divine union. 14 years ago, Pastor Chris Oyakhilome had this goal in mind and pioneered the first 24-hour Christian satellite network, broadcasting from Africa to all around the world. This paved the way for several satellite stations, with the latest one on the way. Millions of people have been touched by powerful messages of salvation through the far-reaching, audience-friendly television ministry of Pastor Chris, now you can too! Next articleLoveWorld USA launches new Christian TV Network!